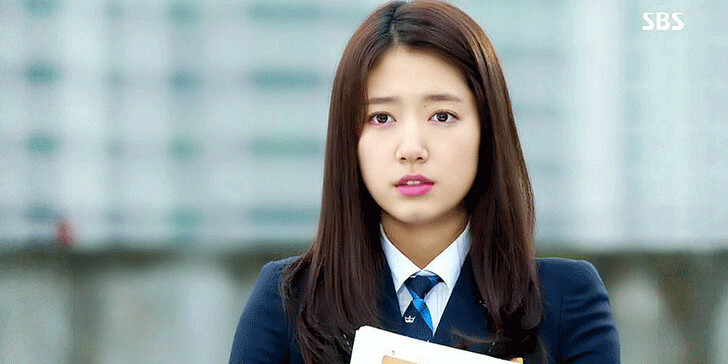 Park Shin-Hye is a beautiful actor and singer. She earned recognition as an actor appearing in melodramas such as Stairway to Heaven and Tree of Heaven. She is also popular for her roles in several television dramas like You're beautiful, The Heirs, Pinocchio and Doctor Crush. She became one of the most in-demand endorsers after her hit drama Pinocchio (2014-2015). She is also the first Korean star to be chosen as a model for Visa and the first Korean celebrity to be chosen as a global ambassador for Austrian jewelry brand Swarovski. It was confirmed on March 7, 2018, that Park has been in a relationship with actor Choi Tae-Joon since late 2017. Shin-Hye was born on February 18, 1990, in Gwangju, South Korea. She holds a South-Korean nationality belonging to the Asian ethnicity. Born in Gwangju, she grew up in Songpa District, Seoul. She attended Seoul Young-Pa Girls Middle/High School. She was in 6th grade in Hak-Kang Elementary School in Gwangju, where she was advised by her English teacher to audition for Dream Factory. Shin-Hye moved to the Chung-Ang University in 2009. She graduated from the University with a degree in Theater on February 15, 2016. Park Shin Hye has a small family comprising of her parents and an older brother named Park Shin-Won. She is an Aquarian having blood type A. She belongs to the S.A.L.T agency. She is a Protestant by faith. Park Shin Hye has appeared in several Korean dramas, movies and sang the songs too. Her voice at “You are beautiful” where she sang “Lovely Day” and “Without Words” made her a successful and noticed singer. Eventually, she auditioned at Dream Factory and got successful. She was not only trained as a singer there but she started being trained as an actress and trained in guitar and keyboard as well. Thus, this made her family move to Seoul in 2001. Park Shin Hye debut in a screen from the year 2003. She was starred as the main female cast in the music video called “Got” “flower” sung by Lee Seung-Hwan. In the same year, she became successful to get the role for “Stairway to Heaven.” This drama made her successful one and opened the door to the Korean entertainment industry. Following the success, she appeared in many dramas, movies, music videos as a lead as well as in supporting role. Park Shin Hye's net worth is $3 million at present. She earns $21,000 per episode she completes. She is also a great philanthropist who likes to donate to charities across Asia. Park Shin Hye is an unmarried woman. She is not dating anyone currently (publicly). Park Shin Hye has not disclosed her relationship yet. Her name has been taken with many of the Korean actors that she is dating the guy and the actor is her boyfriend. But since Park Shin Hye has not revealed who is her boyfriend, it must be a rumor and the topic to gossip. There are rumors if she did the plastic surgery on her face. Many times in the interviews she had been asked how she got this beauty. She often claimed that she has not done any plastic surgery yet. However, she once said she does not like her nose. This does not mean she had done her nose job. There are no any pieces of evidence found yet even if you compare her old and recent photographs that she had done any plastic surgery on her face this means Park Shin Hye does not lie as well. Park Shin Hye is one of the most loved and appreciated Korean Actresses. All the men desire to be get married to her and be her husband. Well, it is future which shows whom she will marry and who will be the luckiest one to be her husband. Park Shin Hye is not just an entertainer but she is a social worker as well. She has been working in charity for very long. She has done charity work in Nepal, Ghana, as well as she, helps in a fundraising campaign to help the people. She is not noticed in social service as she has maintained her low profile in this case and avoids media to grab the attention on her off-screen task. Park Shin Hye is adored by all. She has lots of fan following. One can follow her and get updated on her recent activities via Twitter, Facebook, and Weibo. There are lots of her pictures and information available on different websites for her fans.